44,672 sf warehouse complex located in Oakland Park Florida. The subject offering includes four parcels, 3438 NE 5th Ave, 516 NE 34th CT, 3742 NE 5th AVE, and 519 NE 34th ST. The total leasable square footage is 44,672 feet sitting on a large 1.72-acre lot. The entire property was recently vacated and presents an excellent opportunity for an owner user, or investor. The subject property can be easily leased to multiple tenants after closing creating an excellent investment opportunity. There are 17 total bays. When leased and stabilized this property will net $622,200.00 per year yielding a strong 9.16% capitalization rate. FULLY LEASED CENTER, almost 25000 SF of Prime Retail Space on approx 1.65 Acres of land on W Oakland Park Blvd in the city of Oakland Park, FL. Property is Zoned B-1 which allows for a wide range of business choices and tenants. center is fully occupied at this time and most tenants have been there for a long time.Very wide array of business operate from here - School, Daycare, Hair Salons, Sports bar, Insurance office, Health institute, Immigration office, Restaurant/Bar, Massage Parlor and a Church.Extremely good exposure on W Oakland Park Blvd with approx 50000 cars passing by per day.Property provides new owner a 7.14% Cap rate on list price.Great opportunity to own a very centrally located property with a very diverse group of long term tenants. The total leasable square footage is 21,385 feet sitting on a large 34,852 square feet lot. The entire property was recently vacated and presents an excellent opportunity for an owner user, or investor. The subject property can be easily leased to multiple tenants after closing creating an excellent investment opportunity. There are 10 total bays. Included in this offering are recent lease comparables confirming the average leasing rates average $14 a square foot net. When leased and stabilized this property will net $296,136 per year yielding a strong 9.58% capitalization rate. Property is zoned I1 light industrial. This property is being offered at only $144 a sf which is well below recent sales. 2 acres with 99 parking, varied offices, two conference rooms, large auditorium, remodeled kitchen, private walled in patio with overhang, high traffic visibility location. NEW ROOF, NEW LANDSCAPING with indigenous city approved/ awarded, security cameras, across street from new proposed high rent shopping plaza, waterfront on lake. this offering is for 2 parcels 3550, and 3520 combined approx. 2 acres. 25,500 daily traffic count !!! The total leasable square footage is 11,956 feet sitting on a large 22,003 square feet lot. The entire property was recently vacated and presents an excellent opportunity for an owner user, or investor. The subject property can be easily leased to multiple tenants after closing creating an excellent investment opportunity. There are 6 total bays. When leased and stabilized this property will net $147,472 per year yielding a strong 7.32% capitalization rate. Property is zoned I1 light industrial. This property is being offered at only $167 a sf which is well below recent sales. Large wide open box building with tall 24ft ceilings and no poles or columns. Internal ramp off of two loading docks. 3 ground level drive ins. Minimal office with loft for storage. Parking in front and rear of building. Three drive in doors. Located in Oakland Park minutes from I-95 between Palm Beach and Miami in the east center portion of Broward close to the Port. Small fenced yard is a bonus for outside storage. Ample parking in the front and rear of the building. Clean industrial area walking distance to Oakland Parks Culinary Arts District. Rare find of this size. 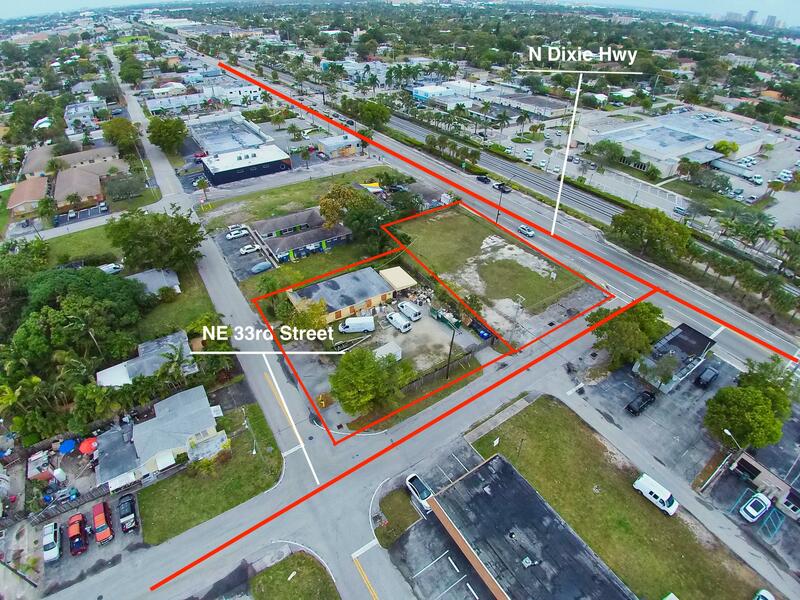 The subject offering includes two parcels, 516 NE 34th CT and 3438 NE 5th Ave. The total leasable square footage is 11,331 feet sitting on a large 17,879 square feet lot. The entire property was recently vacated and presents an excellent opportunity for an owner user, or investor. The subject property can be easily leased after closing creating an excellent investment opportunity. When leased and stabilized this property will net $158,628 per year yielding a strong 9.33% capitalization rate. Property is zoned I1 light industrial. 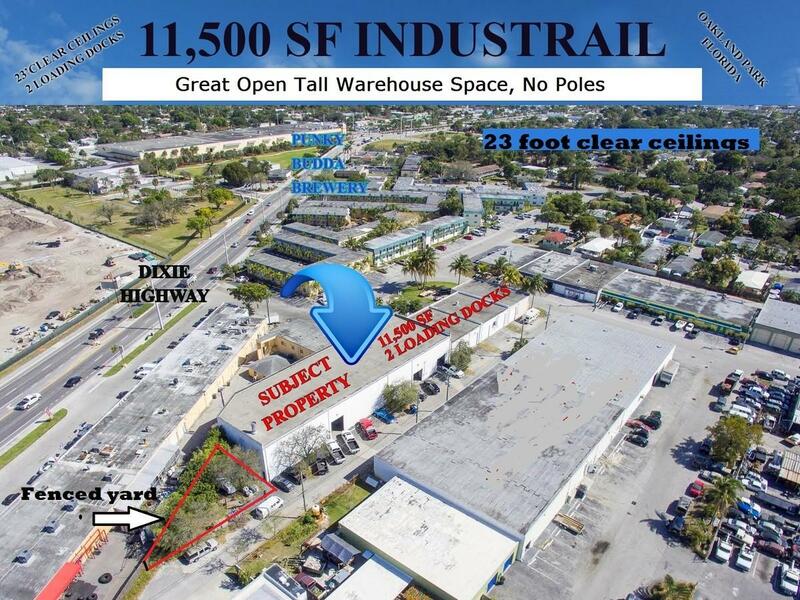 This 9713 square foot warehouse is located in the Central Park Industrial Center in Oakland Park. Located directly on NE 6TH AVE between Oakland Park Boulevard and Prospect Road, close to major highways. This warehouse has 4 units, all of them with individual offices overhead doors located in the front and in the back of each unit, with the South unit having an additional two overhead doors on the south exterior wall. All of the units are currently rented. Please do not disturb the tenants. 24 hour notice is required for showing listing agent will meet you at the property. Office building built in 2008 with high-end finishes, 6 to 7 offices, owner office, conference room, and 22 parking spaces. Ideal for Attorney, Accountant, Medical, IT, smaller company, Sales, or Administration. Receptionist Waiting area, high ceilings, impact windows, kitchenette and plenty of parking. Completely fenced with security gate. This building won the Oakland Park Beautification Award in 2018. 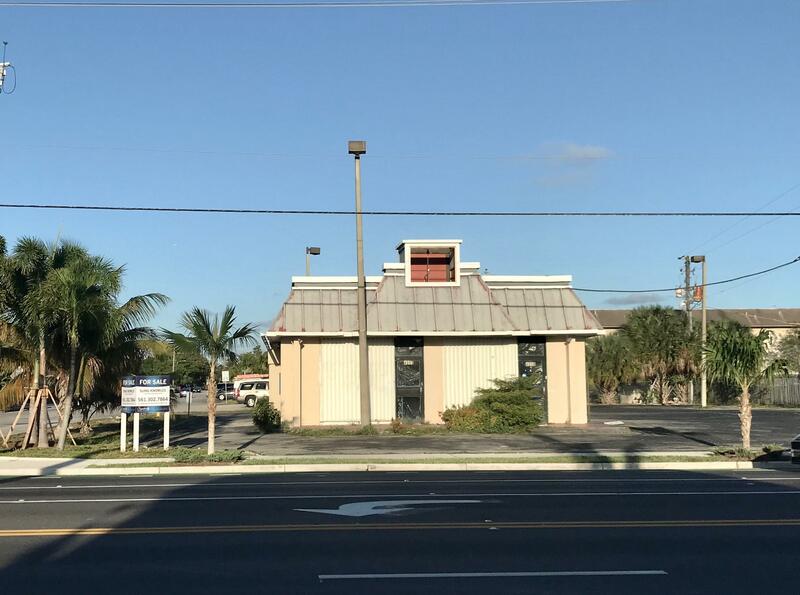 This building consists of 4,500 square feet located is rapidly appreciating Oakland Park Florida. Liberal I-1 Industrial zoning allows most industrial uses.This building is occupied by 2 tenants. Both tenants are under market value on a month to month basis. The property is grossing $58,200 per year, netting $47,343 per year. A new investor can re-tenant this property after closing to market rates of $16 a foot net. This pro-forma NOI will provide an investor with a strong 7.2% capitalization rate at the full asking price of $1,000,000. See enclosed recent comparable closed leases. This property also works very well for an owner user requiring 4,500 sf immediately. Please remember to not disturb existing business, all showings are by appointment only. Designer style building with premier vehicle access make this property ideal for many businesses. Buyer can proudly display their company name for recognition. DOT shows 57,500 daily traffic count. Direct turning lane access with traffic signal in front of the property. 1st floor (3,000 SF) will be available for buyer & 2nd floor (3,000 SF) is leased thru Aug 2019 at $2,500/mo. Top end tile & workmanship throughout. Parking front & rear. Many national retailers, banks, & Holy Cross Hospital within blocks. Two warehouse seperate units with common wall able to be demolished, if desired, with fenced storage lot adjacent. Located in Commercial Boulevard industrial Park just east on Commercial Blvd and Dixie highway. 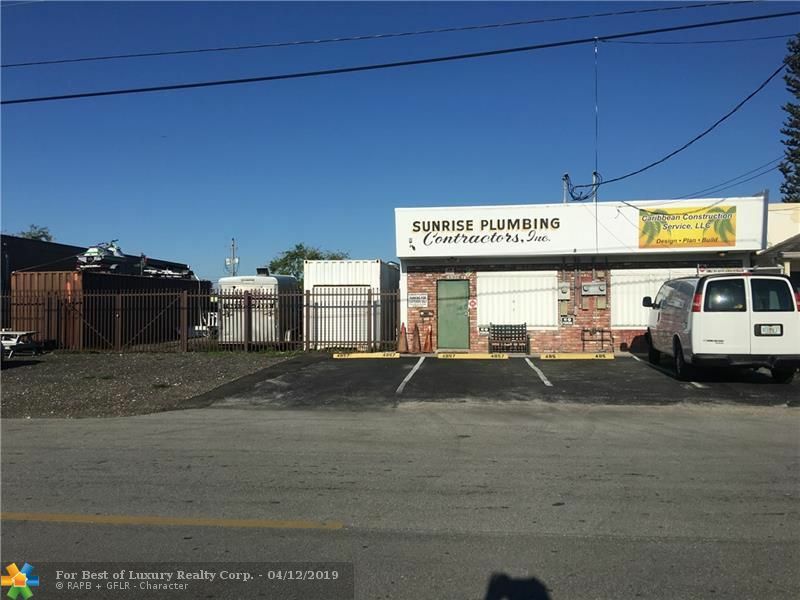 4857 NE 12th Ave has been utilized as two offices and warehouse storage for an electrical contractor; 2859 NW 12th Avenue has been substantially improved with a showroom for home design services and a warehouse behind. 13' ceiling heights in both units from floor to bottom of ceiling trusses. Each is separately metered. Minimum of 12 parking spots. Each warehouse rear has roll up doors for easy access to warehouse area of each unit. There is a large fenced outdoor storage yard adjacent to 4857. Current rents for storage yard $740/mo; 2859 is rented at $1,088/mo. WELL MAINTAINED INCOME PROPERTY WITH LONG TERM TENANTS! GREAT UPSIDE POTENTIAL WITH 1 BEDROOMS CURRENTLY RENTING FOR $750 WHICH CAN EASILY RENT FOR $900-$950. CORNER PROPERTY, COIN OPERATED LAUNDRY ON SITE, ALL SEPARATE METERS BESIDES EFFICIENCY WHICH OWNER PAYS ELECTRIC, ONLY ONE WATER METER, LAUNDRY ON SITE,QUITE LOCATION IN OAKLAND PARK. LOW EXPENSES! PLEASE DRIVE BY ONLY AND CONTACT AGENT FOR INFORMATION. DO NOT DISTURB THE TENANTS OR QUESTION THE TENANTS. A great warehouse with a established business, your buyer may purchase only the building itself or the combination of both, the business and the property for $890,000.00. The business is a great business with a very high rate of return. Spectacular and immaculate warehouse office. Heavy commercial park zoned B-3. Freestanding warehouse with the best of everything. Property features four large offices and conference room, kitchenette, reception area with support staff area. LED lighting, roll up and down shutters for all windows. Fenced in back area for work and storage. There is a covered canopy area for exterior as well. This is the most well appointed and maintained building you will find today! Excellent location in the business friendly city of Oakland Park! This park has a signalized entrance from Oakland Park Boulevard at NW 23 Terrace. Excellent location and accessibility. Close to I-95 & Florida Turnpike. Additional parking across the street is also available separately. Call L/A for information. Amazing opportunity 4,500 SQ FT of Warehouse/Office divided into 2 bays, it can be easily leased to multiple tenants after closing. Zoned Light Industrial. I-1. Quick access to I-95. Property is listed for only $127.75/sq which is way below market value/sales. 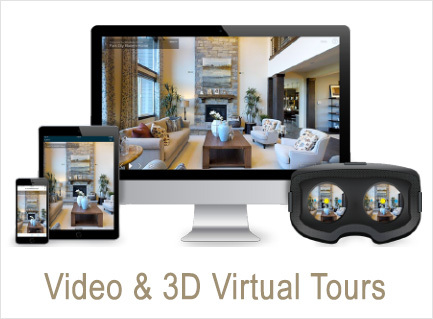 Call listing agent for showings and/or additional information. Outstanding location that is currently undergoing regentrification in the city of Oakland Park. Situated in a corner lot offering ideal ingress and egress from all directions. The subject property consists of 3,172 square feet of leasable space well situated on a 5,000 sf lot. Property is located in close proximity to I-95 and the Florida Turnpike. True industrial I-1 zoning permits most uses. This property is well maintained, and it is currently occupied by 2 tenants. The tenants are paying $742.00 a month each. This property works perfect for an owner user that needs to use 1586 sf or 3172 sf. An investor purchaser can re-tenant this property after closing bringing rents to market rates. 7.5% CAP on a pro-forma basis. Please remember to not disturb the existing tenants, all showings are by appointment only. Call listing broker for additional information. ONE STORY FREE STANDING COMMERCIAL BUILDING FOR SALE. SUPERB COMMERCIAL ROAD FRONTAGE. UPDATED INTERIOR AND EXTERIOR. NEWER A/C UNIT. ROOF APPROXIMATELY 8 YEARS OLD. PROPERTY HAS CAMERA SYSTEM INSTALLED. BATHROOMS ADA COMPLIANT. CLOSE TO MAJOR ROADS AND HIGHWAYS.